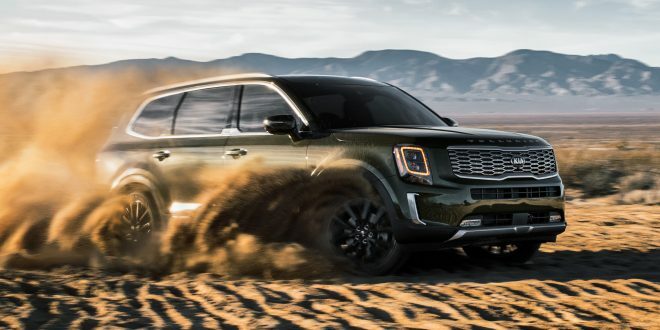 When Kia says the Telluride is the largest Kia ever, it’s not exaggerating. Officially debuting at the Detroit auto show, Telluride is Kia’s entry into the three-row, eight passenger SUV segment. 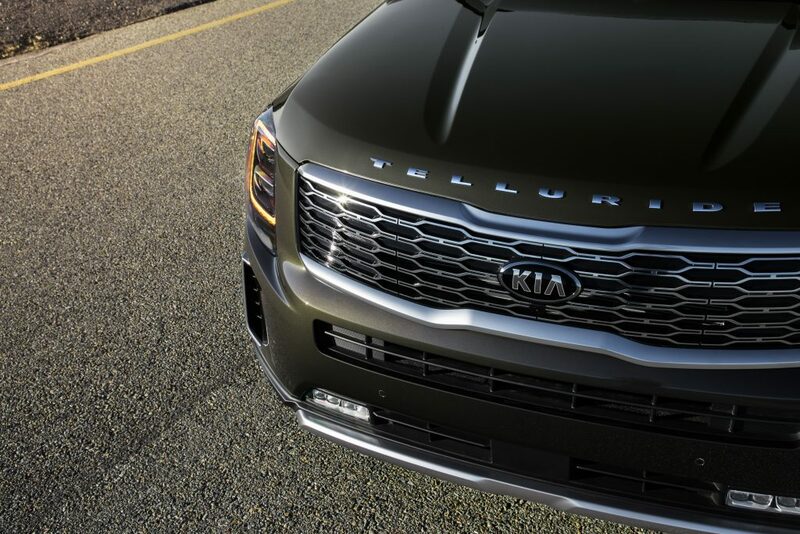 Sharing a platform with the Hyundai Palisade, the Telluride is powered by a 3.8-liter V-6 engine, which produces a potent 291-hp. In base model spec, the Telluride is offered with front-wheel-drive, while all-wheel-drive is optional. Four driving modes come standard across the Telluride line—Smart, Eco, Sport and Comfort—while all-wheel-drive models add Snow and AWD Lock modes. Achieving a tow rating of up to 5,000-lbs., this Kia should be well suited for the task of hauling the whole family and the family boat. 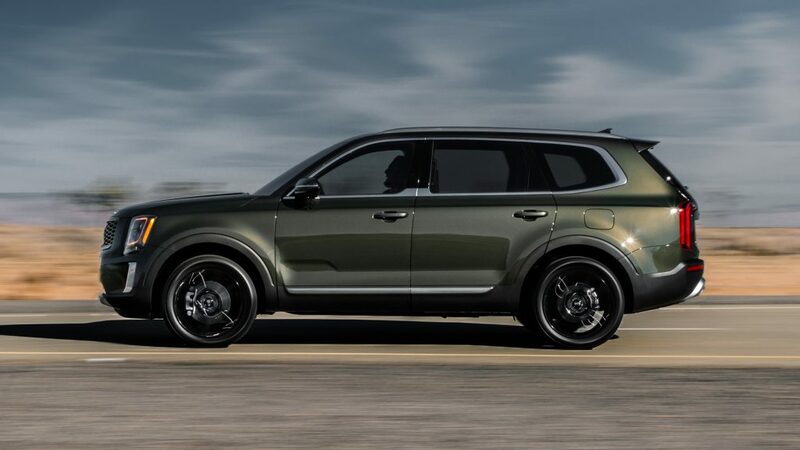 When Kia’s designers set out to design this new mid-sized SUV, they aimed to pay homage to American SUVs of the past, and successfully have produced a big and boxy SUV of their own. Inspired by the go-anywhere family truckster, Telluride looks ready for adventuring. It’s tall, wide, and features squared styling elements from the vertical, stacked headlights to the broad rear lift gate. It looks capable and tough, with a commanding presence. 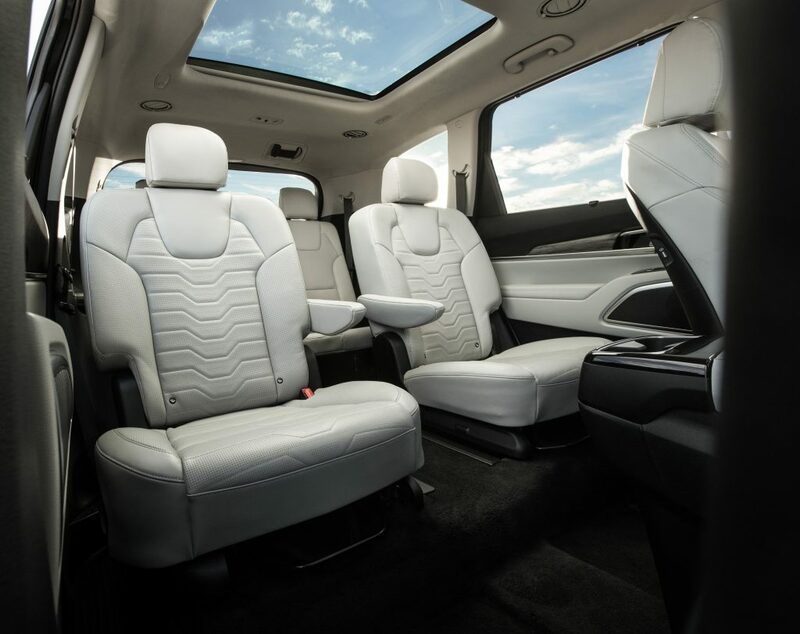 Inside, Kia designed the Telluride with a simple yet premium-looking interior. Grab handles placed in the center console suggest Telluride is off-road ready at all times. The spacious interior has offers comfortable seating across all three rows, even for adults penalized with sitting in the far back. Dressed with the optional double-stiched, quilted Nappa leather, and decorated with trim that includes simulated brushed metal and matte-finished wood, the interior looks undeniably luxurious. Packed with available features like a 10.25-inch infotainment display, a 10-speaker Harman/Kardon audio system, Android Auto, Apply CarPlay, wireless smartphone charging, and up to six USB ports, the Telluride provides the amenities that modern families have come to expect. A suite of safety features are included as part of Kia’s Advanced Driver-Assistance System. Kia’s UVO telematics system allows driver’s more control over the vehicles functionality, like standard remote start, HVAC pre-conditioning to heat or cool the car ahead of departure, and Rear Occupant Alert, which alerts the driver when someone is left in the car by way of audible alerts from the vehicle and text message alerts sent to your phone. 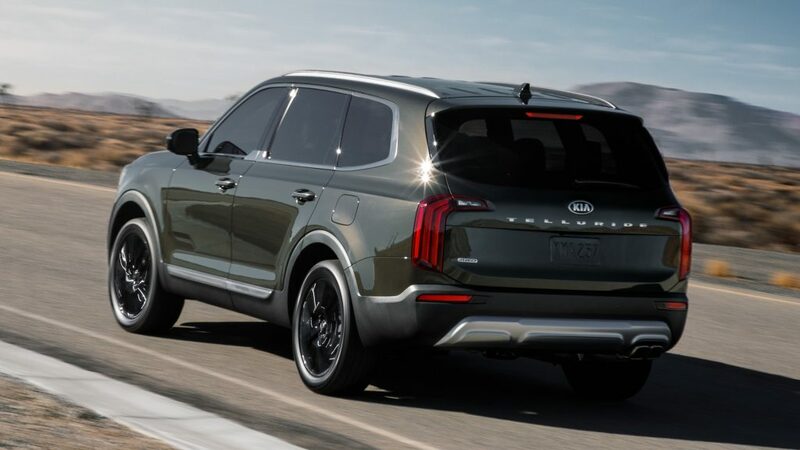 Inside and out, Kia built Telluride to be a definitive American SUV, designed with the modern American family in mind. Interesting how it looks so much like the new Cadillac XT6 from some angles. This looks like a pretty good offering from Kia too.